HUMOR:Russia's Toner Industry Propaganda Or Tonernews.com Propaganda? HUMOR: Russian Toner Industry Propaganda Or Tonernews.com Propaganda? Are These Numbers Below Even Real? In the ever changing landscape of the toner industry, we at Tonernews.com have to play the contrarians on this new report from (http : // sforp.ru/). There is no way that they can compile these numbers, in fact we believe that the numbers of Chinese newly-built compatible cartridges/Clones that are sold in Russia is much higher than remans. ​LOL: Maybe Vlad Was Behind The Report?! 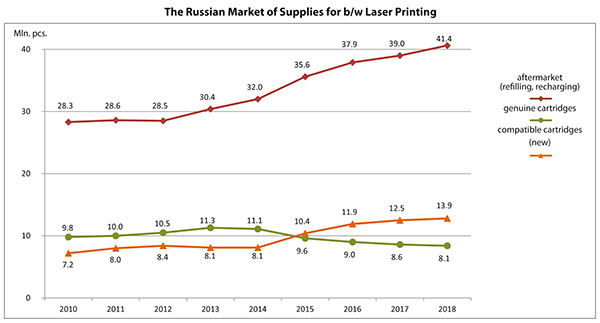 The Russian Market of Laser Printing Supplies has Grown! The Information Agency “Business-Inform” (Moscow) has finished the cycle of research dedicated to the Russian market of office printing 2018. The sales of newly-built compatible cartridges have grown. 13.9 mln.pcs. were sold (+6.1%). The number of refills/remans has grown. Total of 41.1 mln. pcs (+11.2%). The sales of OEM cartridges have diminished. 8.1 mln. pcs. sold (-5.8%). The growth of non-OEM (compatible) consumables sales is caused not by the growth of office printing (the number of office-printed pages has fallen by 3%), but by a serious deterioration of an “average” compatible newly-built cartridge quality, as well as of an “average” remanufactured newly-built cartridge. The tendency to buy cheaper cartridge as well as the orientation on cheaper price by the majority of Russian corporate procurements caused the surge of low-quality products sales. Despite this being evidently ineffective approach (an “average” newly-built compatible cartridge, bought within the framework of tender procurements, prints only 40% of the stated yield), the urge to buy cheaper cartridges (“they are all the same, anyway” thinking) remains the main driver of the Russian market. The growth in the number of refills is also largely connected to the desire to save and refill purchased newly-built compatibles even despite their evident low quality. The share of refills/remans for compatible newly-built cartridges has grown, and in 2018 it reached 42% from the general number of refills/remans. The tendency of the Russian buyer to buy the cheapest possible cartridge + his/her technical illiteracy and boundless faith in internet and friend (“grapevine”) has caused the surge in the number of Russian regional brands, many of them representing one and the same Chinese manufacturer brand. 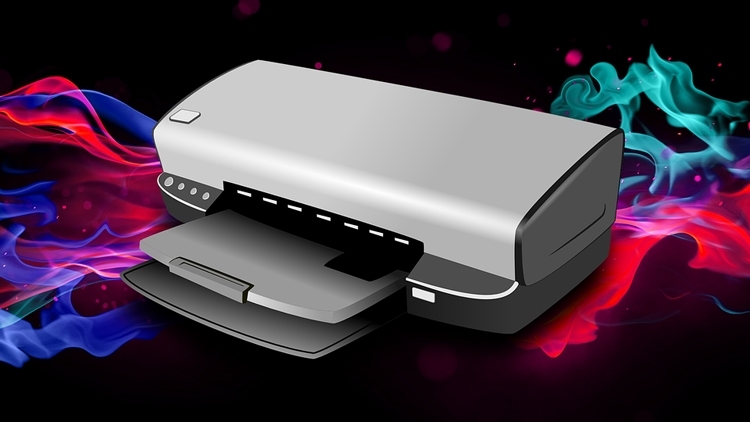 The analysis of toner used in cheap cartridges and cheap refills showed the presence of particles smaller than 5 micro-meters, which poses the threat to the health of office workers inside the room with a working low-quality filled cartridge. Also the analysis of the Russian-market-sold laser compatible newly-built cartridges frames showed that most of them contain DecaBDE compound in the amounts of raging from 1500 to 19500 mg/kg, i.e. the frames of the majority of newly-built laser compatible cartridges contain POP (persistent organic pollutant) in dangerous amounts and must be viewed as toxic waste not suitable for recycling but for disposal only.